This distribution business transfer is for use when one distributor transfers the business to another. There are three parties to the agreement: the manufacturer/supplier, the existing distributor and the new distributor. We also supply two forms of Distributor Appointment: A117 written from the principal’s point of view and A118, which is more distributor-friendly. 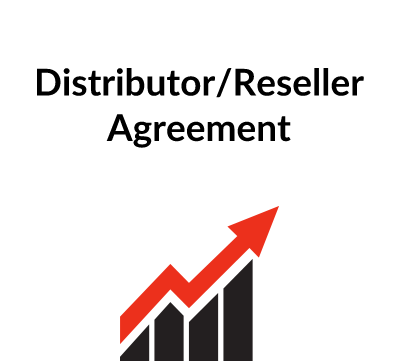 What is this Distributor/Reseller Assignment for? It is a formal record of the distribution business transfer to a new distributor. It is designed to ensure continuity of the business without interruption. It is very short and does not deal with any of the complexities that might occur in some situations. As the transfer of a distribution business needs the consent of the principal – i.e. the manufacturer or supplier of products – the consent of the principal is needed. This is given by the supplier being a party to the agreement. In some cases, the supplier is likely to have selected the new distributor. The new distributor needs to do due diligence on the business before entering into the assignment agreement. Under our template, the new distributor takes on all existing liabilities as well as the benefits becoming the supplier’s reseller. 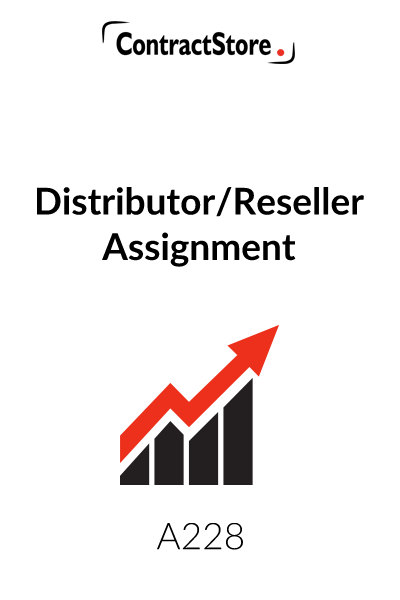 What detailed terms does the reseller assignment contain? 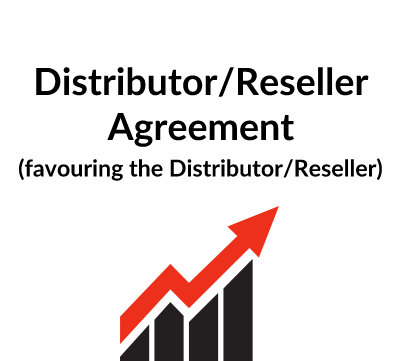 The purpose of this agreement is to transfer all the rights and obligations from a distributor under an existing distributor agreement to a new distributor. It is essential that the original parties to the distributor agreement and the new distributor sign any assignment. The effect of the assignment is to place the new distributor in the same position as the original distributor. It is of course essential that the new distributor is fully aware of all provisions of the original agreement, and takes legal advice as necessary. If the new distributor and the principal agree to vary the original agreement they must set out clearly any such changes in this agreement. This agreement may be used either with our two Distributorship Agreements (A117/A118) or most other distributorship agreements. 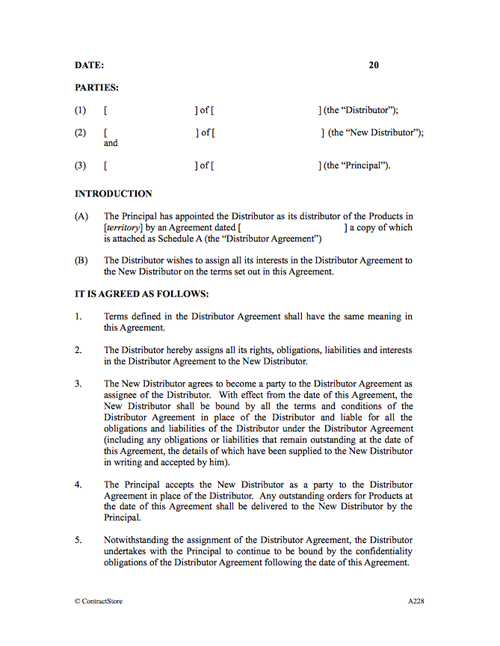 These clauses simply state that terms defined in the original distributor agreement have the same meaning in the Assignment Agreement and that the new distributor has the same rights and obligations as the original distributor. If there is to be any change as to the new distributor’s rights (e.g. remuneration) or duties (e.g. geographical areas) these must be set out clearly in this Assignment Agreement. Again this clause serves to place the new distributor in the same position as the original distributor. The new distributor will need to carry out due diligence before signing this agreement so as to make certain what, if any, liabilities remain outstanding. Where there are outstanding liabilities the new distributor may wish to enter into a separate indemnity agreement with the original distributor in case its future/contingent liabilities in taking over existing obligations exceed a certain level. It is made clear that the principal will deliver any orders for goods to the new distributor outstanding as at the date of the assignment (as per clause 3, above). This clause provides that notwithstanding the assignment, the original distributor is still bound by the terms of any confidentiality clause in the original agreement. It is possible that the principal will want other clauses in the original agreement to remain binding on the original distributor – e.g. a clause restricting competition – in which case they should also be mentioned here. The parties are to be bound by the dispute resolution clause in the distributorship agreement. The parties agree to resolve any disputes according to English law. If the distributorship agreement is subject to a different governing law, this should be changed.